I was introduced to the music of Santiago, Chile-based Glorias Navales through Graham Lambkin’s now-defunct KYE Records, which released the group’s first LP, Cofradía Náutica, in September of 2016. Following its arrival at my apartment the album did not leave my turntable for months. Glorias Navales magically fuse a variety of disparate styles of music making into a unique whole: folk music, trance-inducing repetition, improvisation, and extended techniques (to name only a few). The music has a precise kind of looseness: the motifs are fixed but there is a fuzziness to their articulation, with each individual’s slightly different interpretation building into a humming cloud of material. 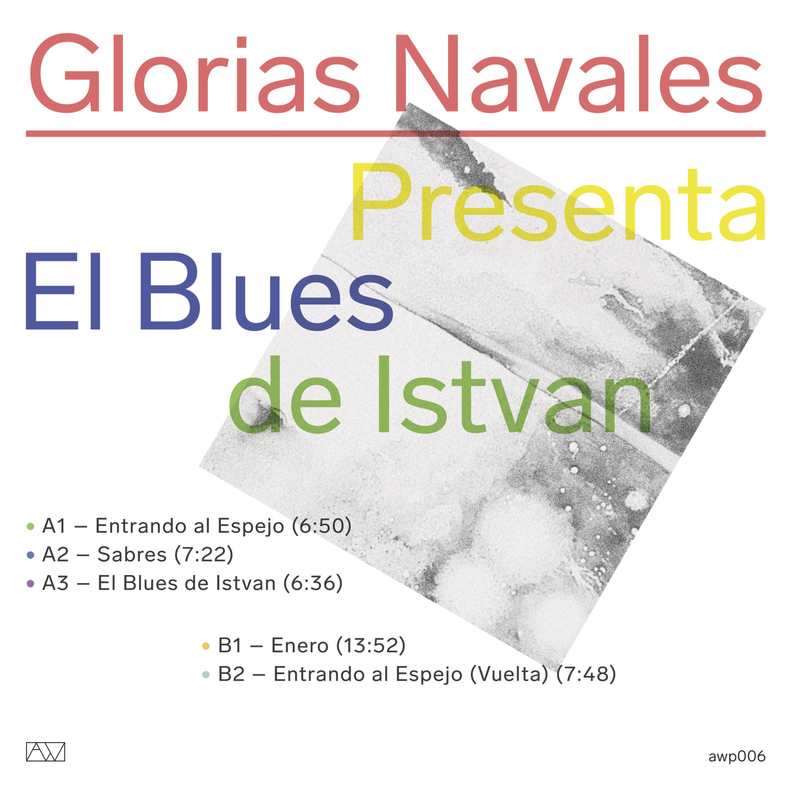 Glorias Navales’ music is kind of like a slower, acoustic Captain Beefheart: each instrument is simultaneously in and out of sync with the others. I often lay on my floor, staring at the ceiling, while listening to the record and imagine being in the rooms the band was playing in, surrounded by the slow hum of their music. Since most of the recordings on Cofradía Náutica are from live performances I also associate the cough and shuffle that people naturally make while at a concert, frequently audible on Cofradía Náutica, with the overall sound of the band, part of the intimate atmosphere they evoke so well. After living with the record for several months I sent a gushing message to Lambkin telling him how much I loved it, that I had been listening to it obsessively since it arrived, that I found it incredibly exciting. When I asked for more information about the band, who did not appear to have a website, he sent a digital copy of an early tape mentioning that he might re-release it in the future. I remember thinking that if he did not re-release it I would somehow. A year or so passed and Lambkin closed his label, prompting me to get in touch again, this time directly asking for contact information for Glorias Navales, hoping to offer to do what Graham had merely mentioned in passing. I was put in touch with Tomás Salvatierra, one of the two guitarists in the group and the person who would relay information from me back to the rest of the band in Chile. The timing was perfect: Tomás said they had recorded at an all analog studio in Santiago following their first European tour and were looking for a label to put out a new 12”, a development that I had not expected and which I happily agreed to. I am not sure if Tomás thinks of himself this way but I imagine him as the de facto leader of what appears to be an incredibly horizontal ensemble. Originally a duo, the tight-knit group now has five members. It’s clear that there is an important private component to the group, as their preference is to minimize all extra-musical information (Cofradía Náutica neither lists track names nor labels the sides of the LP). The symbolism and references in their music are importantly Chilean and even more importantly not shared with outsiders. They don’t want to answer questions about the inner workings of the music and prefer an aura of mystery. It’s about the music anyways, the rest may as well be stories, rumors, or conspiracies, each equally possible. When I asked for a clarification on the English translation of the band name, for example, and whether or not they wanted English translations of the titles, I was told to do neither. Tomás worried that translations of any of this material would dilute the important cultural resonance it has in their country. As a stranger from the US I feel lucky to be trusted with their work, something that I can only guess was difficult for such a private, close-knit group to do. GxNx (the shorthand of the band name that doubles as the de facto logo) is all acoustic as a matter of principle: no effects, nothing extra. The emphasis is on the raw sounds of the instrumentalists together in a particular space. Similar to the essentialist approach to their music, and in accordance with their wishes, I arranged to have my friend Dan Eaton transfer and master the recording directly from the reel tapes, hoping to avoid anything digital as much as possible. The tapes themselves are prized possessions, 2x half-inch Memorex tape reels in old boxes with “non-magnetic inspections please” written on them. After months of discussions, and one aborted trip to Los Angeles, the tapes were mailed to my apartment and Dan and I could begin the transfer process. I had never worked with tape before so every moment of the transfer and master process seemed potentially catastrophic. When the tapes were in my apartment I had nightmares about them catching fire or being destroyed in some freak accident. Normal paranoia stuff, but the knowledge that this material would be lost forever if anything happened to the tapes terrified me. Dan clearly felt this pressure too and we’d hesitantly unload our concerns about the stability of the recording format to each other in turns while working through the job in his studio. The entire transfer and master procedure took three days. The tapes survived even though we had regular problems throughout the entire process: we had to disassemble the reel-to-reel player twice to clear out jams in the machine caused by gunk on the tapes; we had to carefully, and manually, unwind 50% of one of the reel tapes after the machine flipped the tape during a rewind. Every time something went wrong my heart would drop out of my chest for fear that this problem would lead to the final demise of the tapes. The studio that did the original recording of the GxNx album reuses their reel tapes from session-to-session, the primary reason I had to promise to send them back following the completion of the transfer. In between the GxNx recordings are slices of other recordings: random vocals, a fragment from a rock band’s song, blasts of noise, etc.. Periodically a ghost of a previous session, at a different speed and often backwards, would creep up into the mix. It was spooky, unsettling, and shocking every time it happened, as if the tapes were haunted and the spirits would occasionally make their presence known. So who is Istvan? Maybe he’s a friend of Glorias Navales who suggested they record in a nice studio following their first European tour. Maybe he’s the artist who created the painting, transformed into grayscale and from which the colors of the text on the jacket were sourced, that is featured on the front cover. Maybe he’s a historical figure from Chile, a reference outsiders won’t understand. Maybe Istvan is a ghost, one of the spirits from the reel tape. Maybe I know who Istvan is and I just won’t say, or maybe I already did.